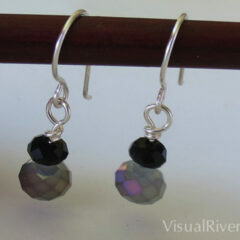 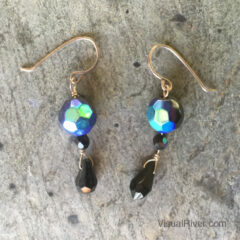 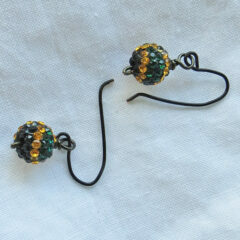 Black Czech crystal drop earrings. 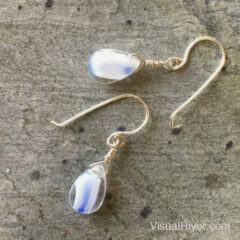 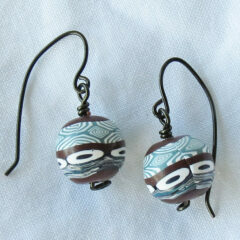 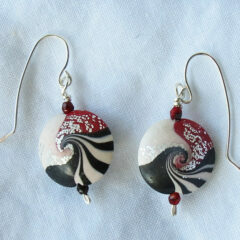 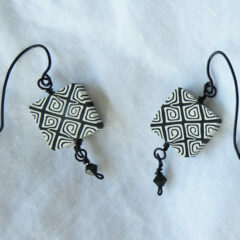 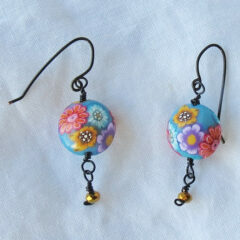 Swirls of blue on white dangling earrings. 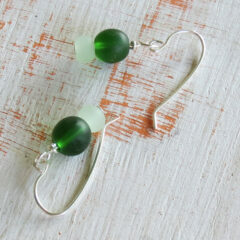 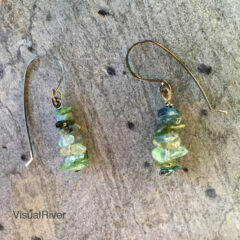 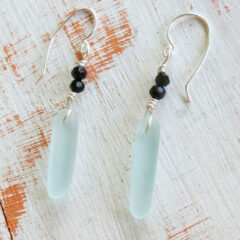 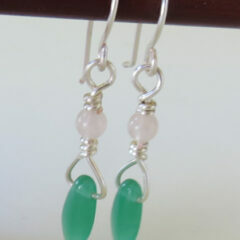 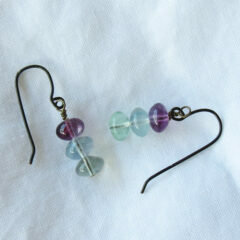 Fluorite and Emerald drop earrings. 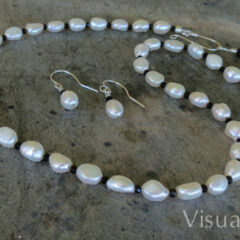 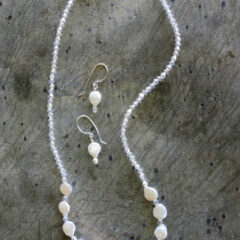 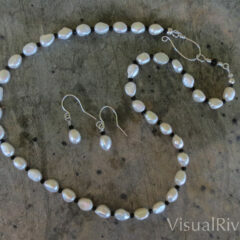 Freshwater pearls with tiny black crystals necklace and earring set. 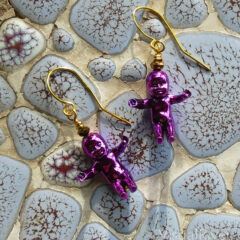 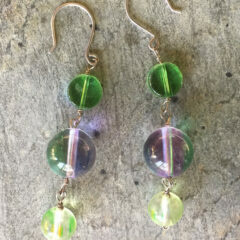 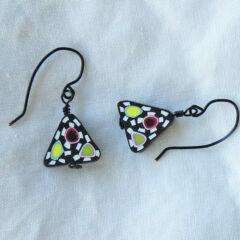 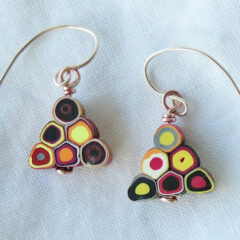 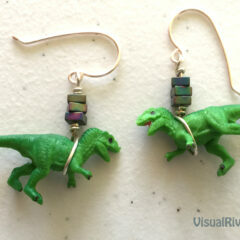 Green and Purple Mod Dangling Earrings. 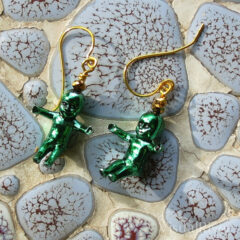 Mardi Gras and St Patrick’s seasons are here. 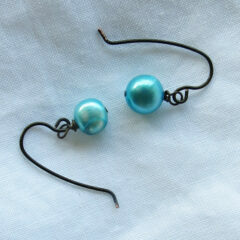 These Peacock Blue Pearl earrings will go with so many of your summer outfits. 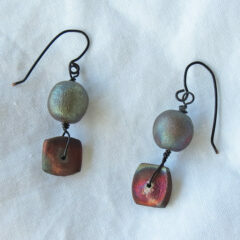 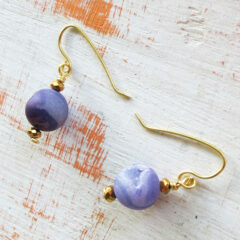 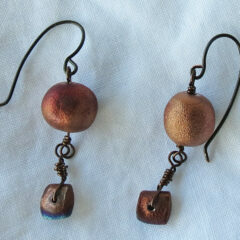 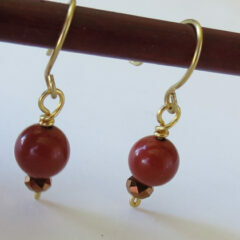 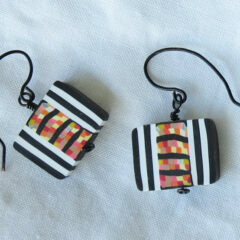 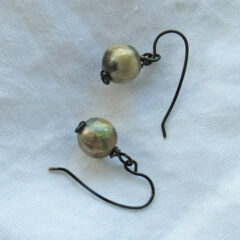 Pearl button drop two toned earrings. 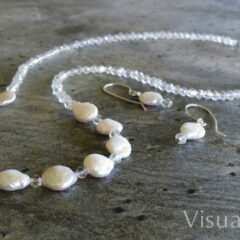 Pearl Coin necklace set with sparkling beads. 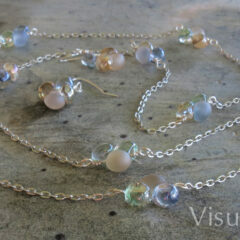 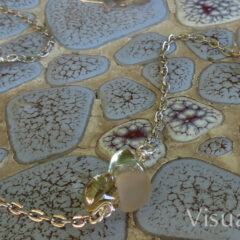 Subtle cool colors with chain make up this unique necklace. 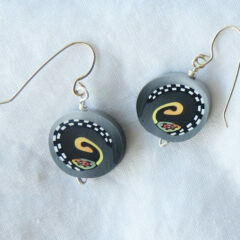 The earrings accent it perfectly. 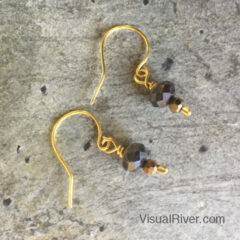 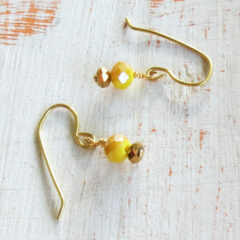 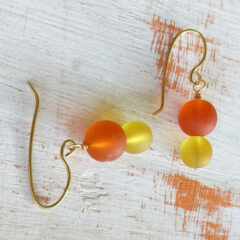 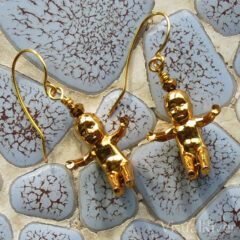 Little sparkling Sunflower yellow drop earrings. 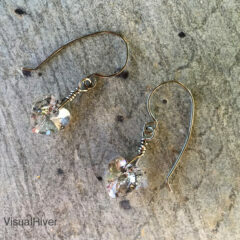 Sparkling Swarovski Crystal Butterfly Lavender earrings. 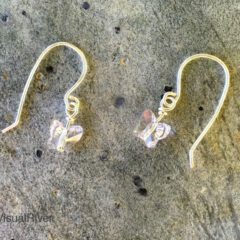 Sparkling Swarovski Crystal Heart earrings. 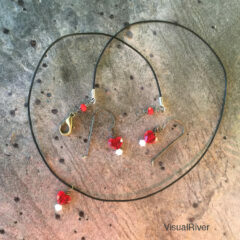 Swarovski Crystal Heart necklace and earring set.